Are you looking for a way to get more out of the books you’ve published? Or trying to figure out how to get the attention your book deserves? Have you realized your book launch is a golden opportunity, but not sure what to do about it? A little over a year ago Tracy Atkins and I started building products specifically designed to help you supercharge your book marketing, adding them to our Book Design Templates site. 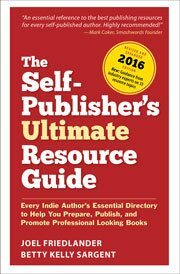 Thanks to you, these Author Toolkits have helped thousands of authors position, market, and promote their books to all kinds of audiences. Now we’ve brought all these products together at their spiffy new home, AuthorToolkits.com. Quick & Easy Media Kit Templates for Indie Authors—15 handy done-for-you text templates and 9 photo templates, all specially crafted by Publicity Expert Joan Stewart. Joan Stewart’s Press Release Masterclass—A tutorial and 15 handy, done-for-you templates that will help you write perfect press releases every time. Book Launch Toolkit—Created with platform-building and marketing expert Kimberley Grabas, the 103 page guidebook provides you with a platform-building strategy and twenty tools and techniques you can use in your own book launch, along with seven templates and five cheat sheets to get your launch organized and on-track. Quick and Easy Blog Post Templates—17 Amazingly Simple Blog Post Templates for Authors, a handy series of blueprints when you don’t feel like starting your next blog post from scratch. All specially crafted by Publicity Expert Joan Stewart. How to Blog a Book Template Kit—A companion to Nina Amir’s bestselling How to Blog a Book—and so much more. These structured template sets lead you through Nina’s proven process that has helped thousands of bloggers and authors reach their publishing goals. Book Proposal Template Kit—We teamed up with legendary literary agent and author Mike Larsen to create our Book Proposal and Manuscript template bundle that will ensure your book proposal is in the right format and on target for submission. This is a great opportunity to get any of these outstanding, user-approved toolkits at the deepest discount we’ve ever offered. We’ve posted all the webinars related to these products—over 5 hours of targeted training with our great lineup of indie publishing experts—and they are completely free. You can find them all here: Toolkit Webinar Replays. If you’ve got some extra time over the holiday after the turkey and football, treat yourself to some quiet time learning from the pros. And to all readers in the U.S., Happy Thanksgiving!